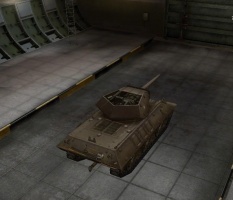 The M10 Wolverine is an American tier 5 turreted tank destroyer. 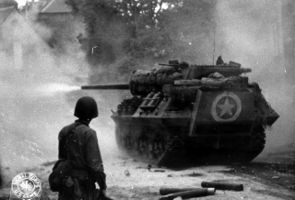 The most widely produced American tank destroyer, with a total of 6,706 vehicles manufactured from September 1942 through January 1944. 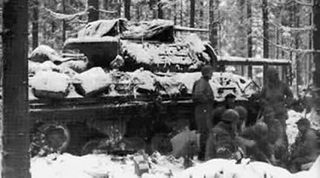 More than a third of all Wolverines were supplied to the Allied nations under Lend-Lease. 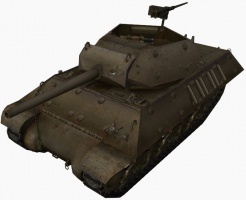 In contrast to the T67 on the other US TD branch, the M10 gives up some speed and camo for better accuracy, better shell velocity on 76mm guns, wider gun selection and armor. 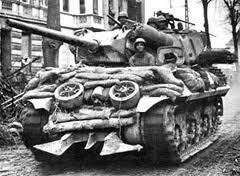 While most of the tanks on this TD line do not have turrets, the M10 as well as the M36 Jackson after it do get this nice advantage even though the turret does not turn very fast. 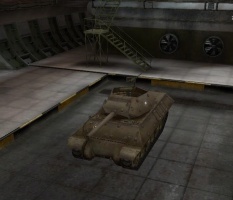 The tank's size is too great to remain camouflaged well, although the rotating turret allows you to keep the hull still so that Camouflage Nets and Binocular Telescopes don't reset. It also makes engaging targets on a wider front more practical, since the whole hull of the vehicle does not need to be slewed to engage new targets. Always remember that despite the turret, this TD cannot be played as a medium tank as it is wholly inadequate for that role. 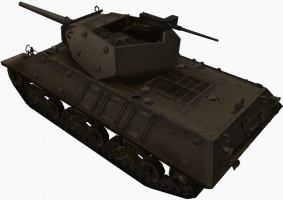 The M10 Wolverine leads to the M18 Hellcat, and the M36 Jackson. 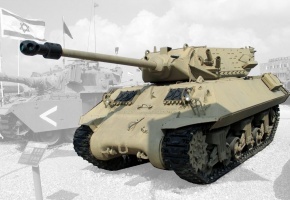 Good choice of guns with the fast firing 76mm AT M1A2 or the powerful 105 mm AT M4 howitzer. Low AP penetration for a TD with worst alpha output (76mm gun) along with low ammo capacity. 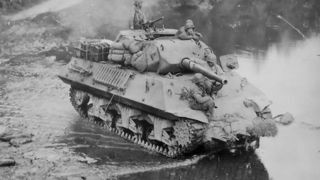 While you may be fooled into thinking this large, turreted TD can act as a medium tank, this will almost always end in disaster (though if you have played the American mediums up to tier 6 then this is not a bad idea if you are careful enough). Sniping is still the best role for this TD. 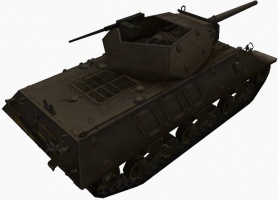 While not terrible, the camo on the M10 cannot be relied upon as much as other tier 5 TDs and so taking advantage of the great gun depression, turret and mantlet armor to fire from hulldown positions as much as possible is advised. It is also a good flanker mid-game when there are less tanks on either teams. 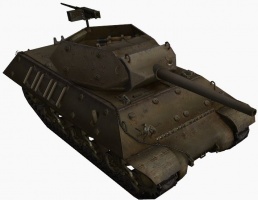 The frontal armor is hardly invincible, but allows it to act as a bully against lower tier tanks and at long range many enemy shots at the front may hit the well sloped and heavily armored lower glacis instead. 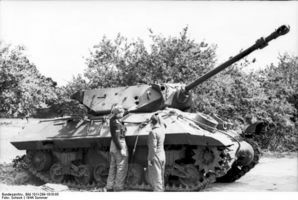 The front is also thick enough to generally withstand penetrations from HE shells, unlike the T67 which will often be destroyed by 105mm howitzer shells in a second. 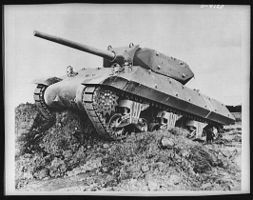 It is essential that you never, ever angle the armor on the M10 though. 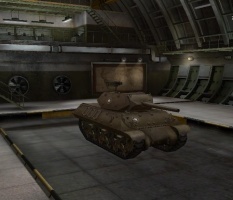 The sides are very thin and will get overmatched by any 57mm or larger gun. The 2nd turret may seem pointless, but it increases the RoF on the guns and HP and so should be mounted despite the higher weight. It also gives the M10 the distinctive appearance it had historically. Overall the M10 plays like a heavier T67. 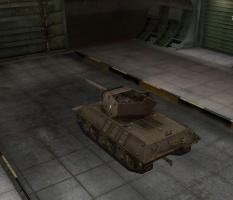 While not nearly as fast or stealthy, the M10 has a slightly better gun and has its own set of tricks to survive some situations where the T67 could not. As with any turreted TD, they tend to be able to cover wider areas better than non-turreted TDs since the turreted nature of this TD allows it to engage targets without slewing the hull. Just remember that while you do have some armor, it is your last defense and not getting shot in the first place is always preferable. This page was last modified on 4 January 2018, at 04:27. This page has been accessed 403,105 times.